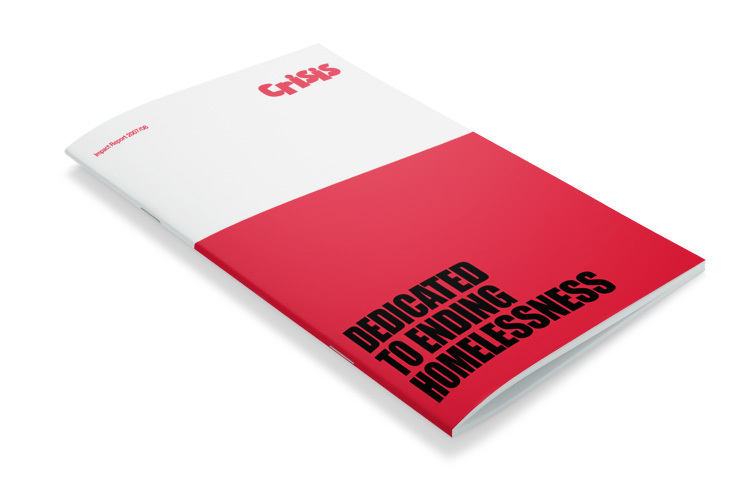 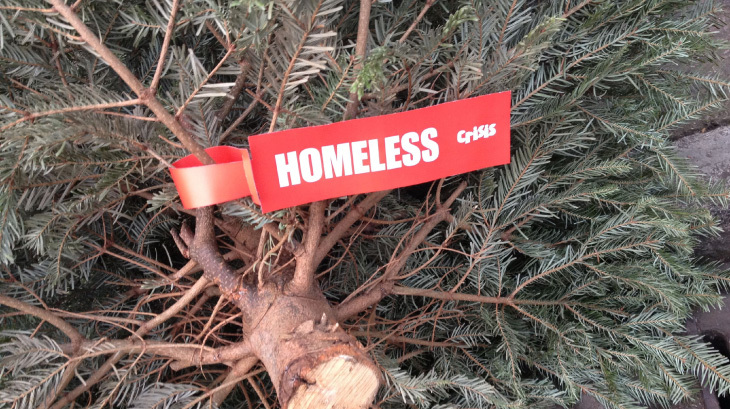 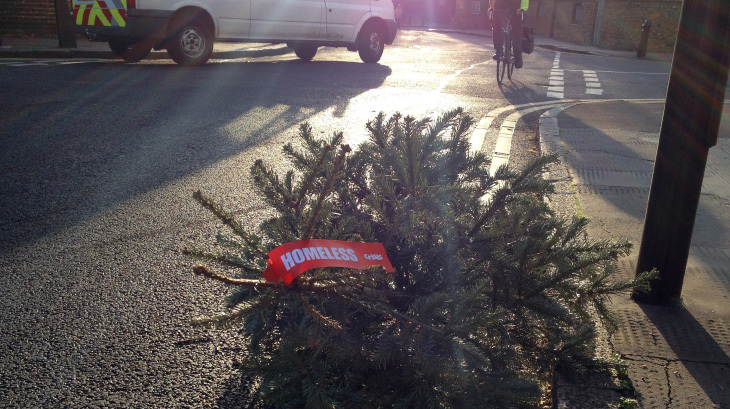 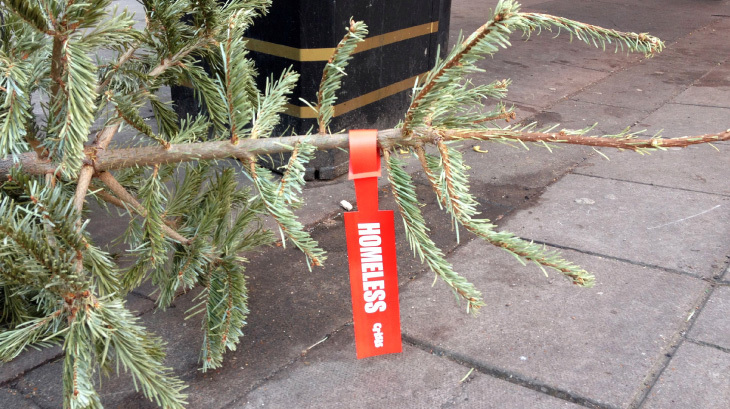 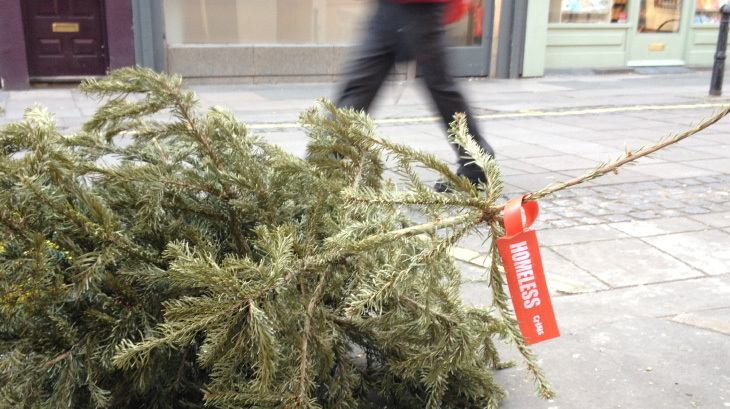 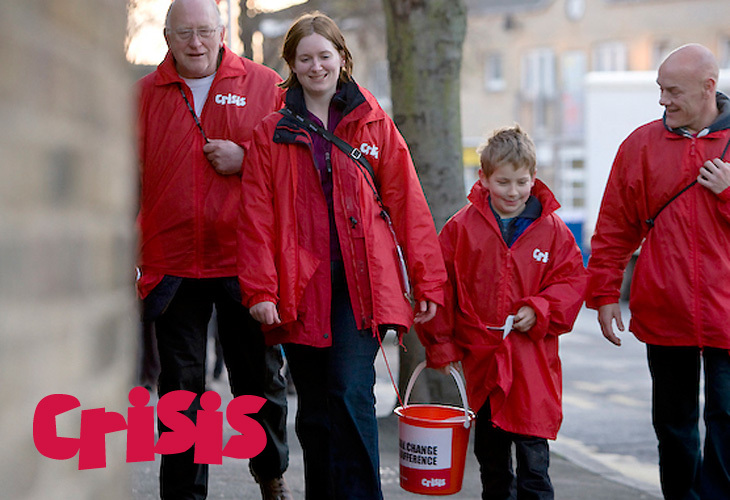 Best known for its annual Christmas Appeal, Crisis is a high-profile UK national charity that fights homelessness and empowers homeless people to transform their lives. 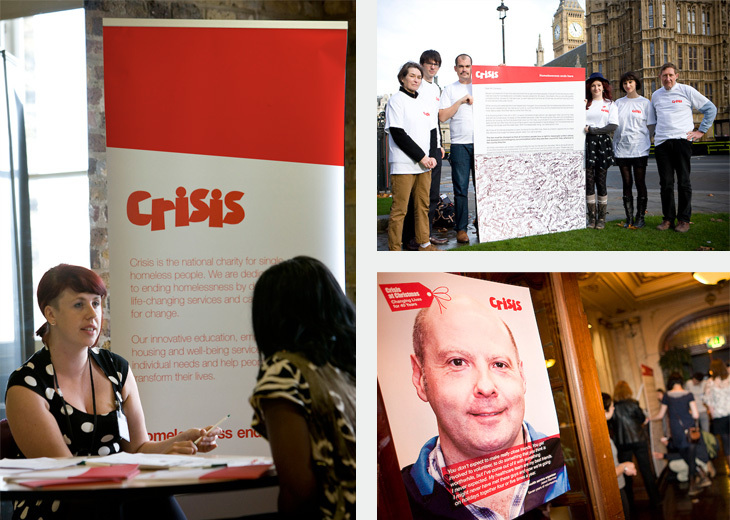 Like other leading charities, Crisis has in recent years adopted a far more professional approach to fund-raising and lobbying – which inevitably has meant behaving and communicating in a rather more “corporate” style. 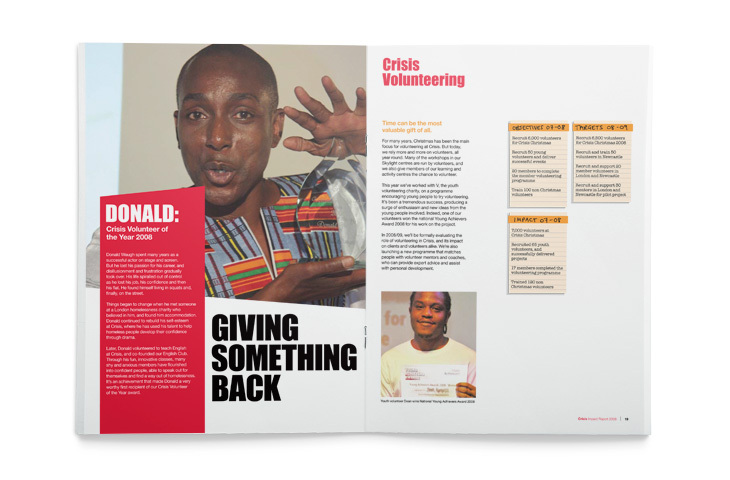 Our first job was to help Crisis refine a single core belief: a commitment to focusing on the individual, and to a radical and disruptive approach to achieving their objectives. 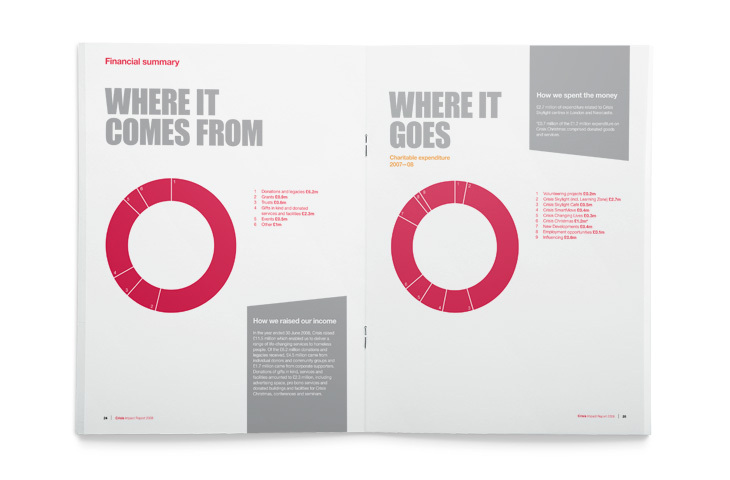 Following a review of existing communications, we developed an improved visual identity and guidelines, specifically designed to reflect and reinforce that core belief. 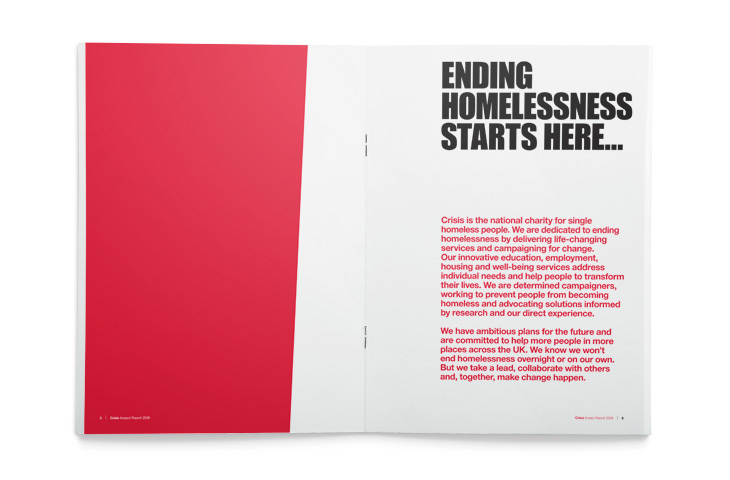 Most notably, the charity’s attention-demanding name became a distinctive new logo that positively drips disruption and defiance. 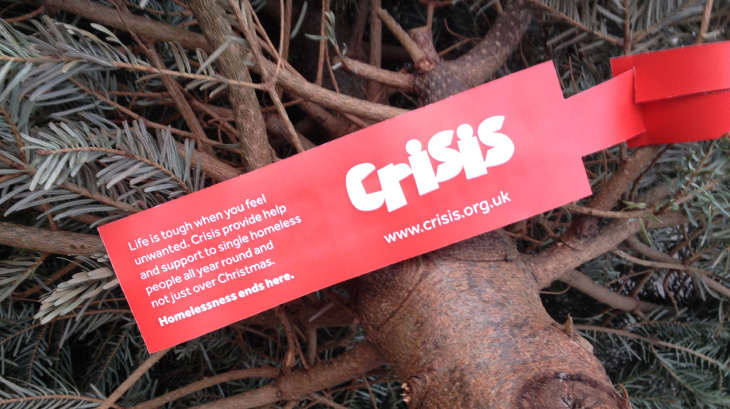 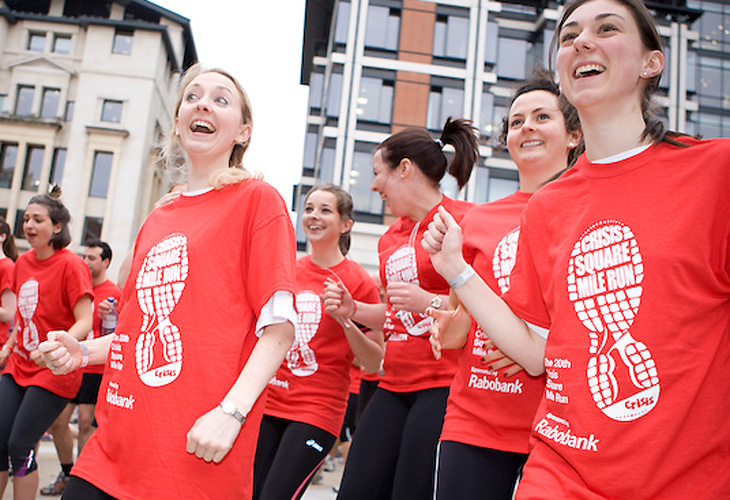 Expanding fund raising events beyond the Christmas campaign is a major part of Crisis’ strategy. 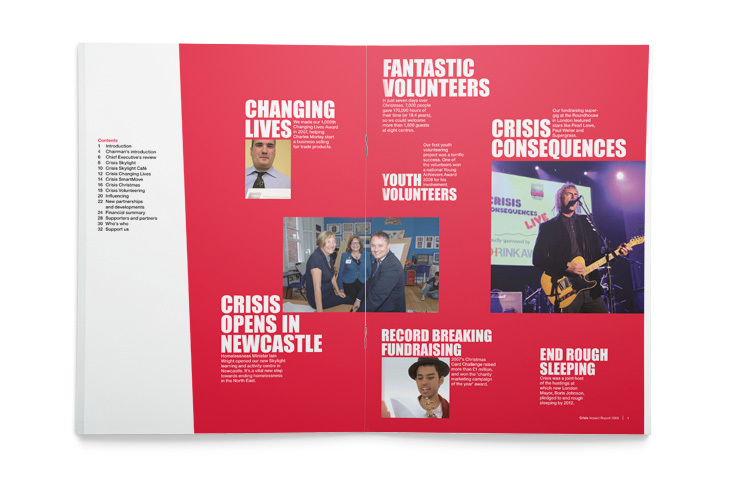 Each event adopts a brand architecture solution that gives them their own visual personality but still clearly within the Crisis brand.